The Mountain room is our largest meeting space with wood floors and windows that look out at a spectacular view of Mt. Adams. 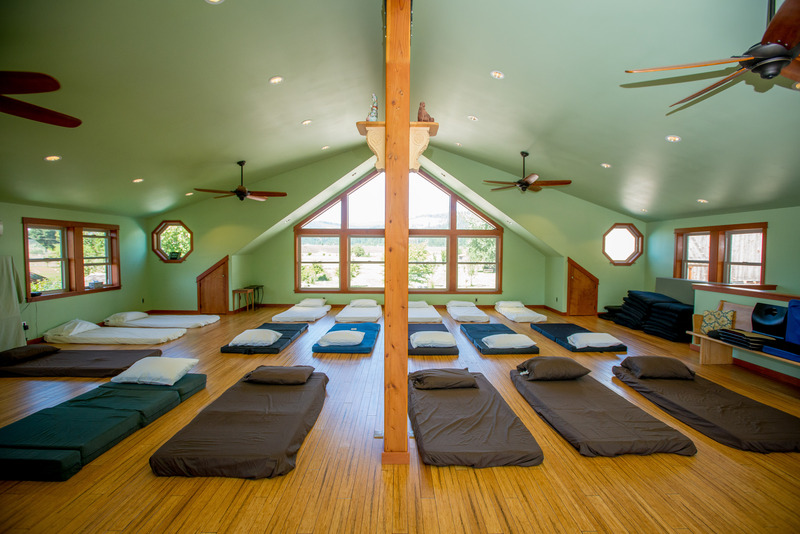 This space can be used in a variety of manners including a temporary zendo, yoga studio, dance floor or group sleeping area. The commercial kitchen is fully stocked with everything you need to feed a large group. Rental of the kitchen includes use of our 3 season screened in porch as a dining area. Fully stocked with pots, pans, utensils, flatware and dishes, etc. The Fireside room is another versatile meeting space located inside the main B&B building. It can be arranged to meet your specific needs; we can place tables and chairs for use an in indoor dining room, cots for use as a group sleeping area or whatever your specific group needs . With it’s extra large fire place this room is a cozy place to gather on chilly winter days. Adjacent half bath with toilet.